It's totally for fun so just share a photo every day if you can or share more on some days than others. It's supposed to be a fun activity I don't want you stressing about it OK. You don't have to enter to win the prize, you can just play along with the prompts for fun, entirely up to you, the more the merrier! If you want to play along for fun then start posting your photos from 1st April. 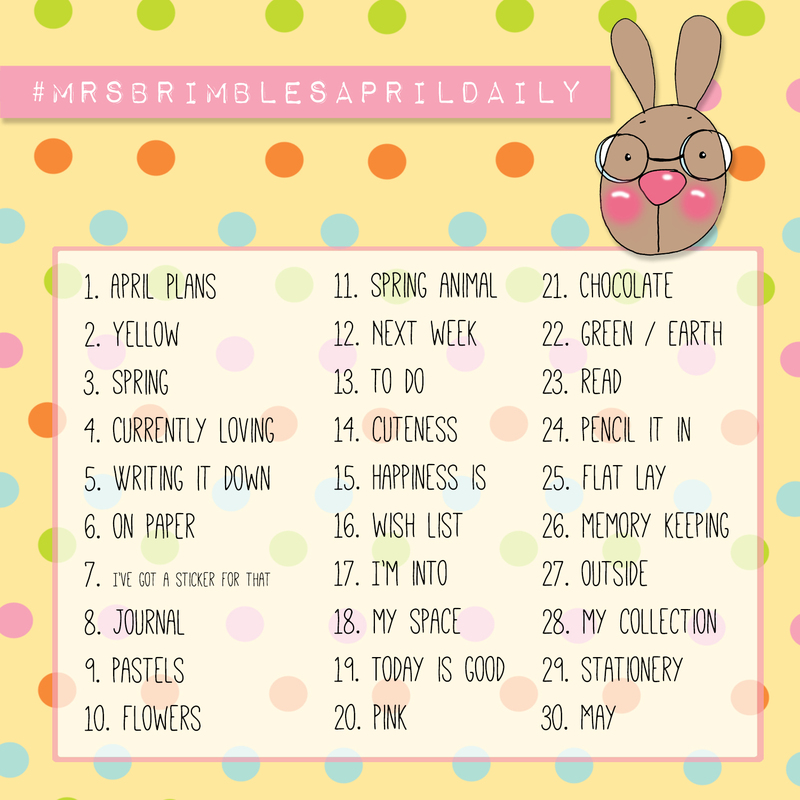 Remember to use the hashtag: #mrsbrimblesaprildaily so that we can find your photos. You can post anywhere on social media but if you want to be in with a chance of winning the prize it needs to be on instagram, or in the Mrs Brimbles Happy Place group on Facebook (or both of course). If you are playing along with this in order win the prize please do make sure that you read all guidelines on how to enter and the rules below oh and if you want to be in with winning the prize you will need to register on the giveaway widget below too! Feel free to save this graphic and share it on your social media feeds or print it at pop it into your planner. You need to be following me on instagram: @mrsbrimbles please do not tag me in your photos as I will get lots of notifications. I will see your photos on the hashtag - I will be following! The prompts are just that, prompts, interpret them as you will, or if you are stuck for inspiration just post a photo anyway! If it is easier you can do a different prompt on that day as long as by the end of the challenge you have done all 30. Do two on one day if you need to, don't worry about missing days as long as you post all 30 by the end. Have a break, come back again. You just need to post 30 photos in the time frame given. You have until 7am GMT on 5th MAY 2019 to register for the giveaway on the widget below AND to complete the photo challenge on instagram. If you haven't registered on the widget you won't be elligible to win the prize so you will just be doing the challenge for fun which is totally fine with me if it is with you.You can register at any time from now but photo posting on instagram and in the Facebook group starts on 1st April 2019. You DO NOT have to post everyday but you do have to post all 30 photos by 7am GMT on 5th MAY 2019. You DO NOT have to post in numerical order, you can post any prompt on any day and any number of photos on any day. Once the competition has closed a winner will be drawn by random using the giveaway widget, and emailed. I will ask you to confirm / prove that you have posted all 30 photos in the time frame 1st April - 5th May 2019, if not another winner will be chosen. The winners name will appear on the giveaway widget once closed. The winner will be announced in the Facebook group and you will need to email me: mail@mrsbrimbles.co.uk to claim your store voucher. One winner will be chosen at random. Winner(s) will be announced on this page on the rafflecopter widget after the closing date. 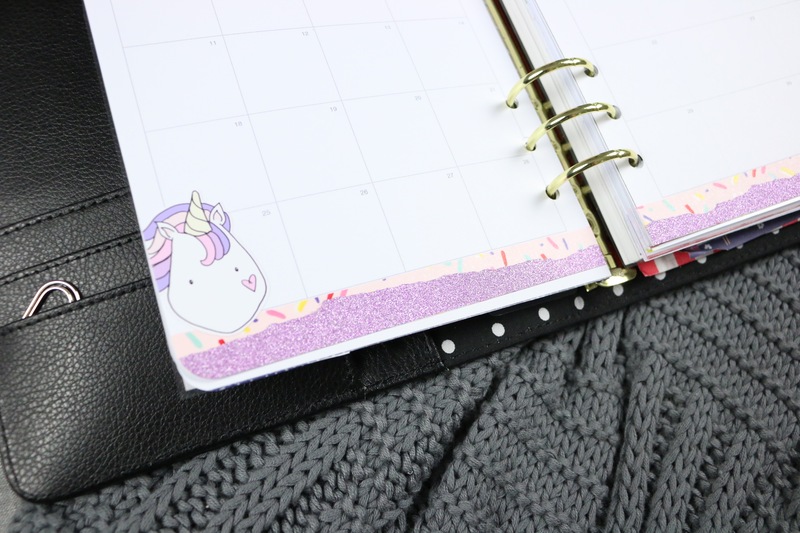 Hello, Planner Friends! 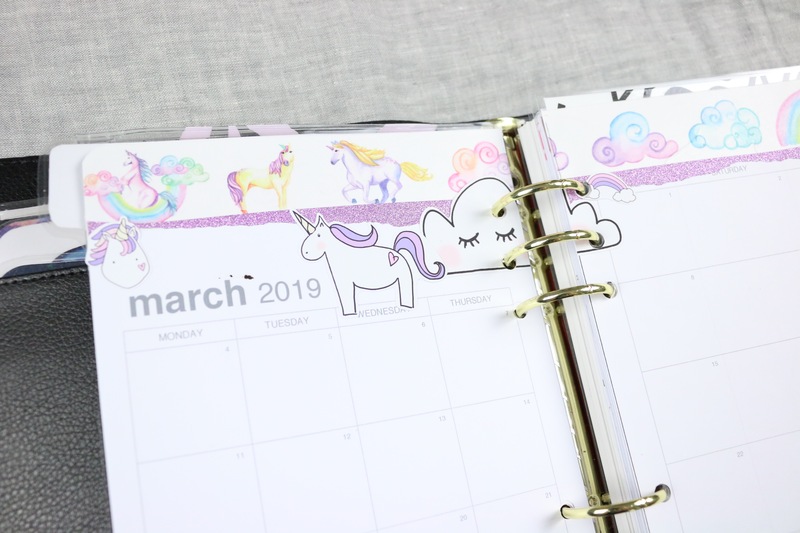 In my ever-ongoing quest to use my planner supplies, I stumbled back across the stickers I had left in from the Unicorn Sky bundle. It seemed perfect to use them alongside the very beautiful watercolour/unicorn washi tape that came in the Brimbles Washi Tape box - because I've been waiting to use it on a project since I unpacked it back in December. I really loved putting together this layout, because it reminded me of my older layouts, back when I first started putting together planner layouts. I used to do a LOT of layering - of washi tapes, scrapbooking papers and stickers - and this really felt like going back to things that I loved. 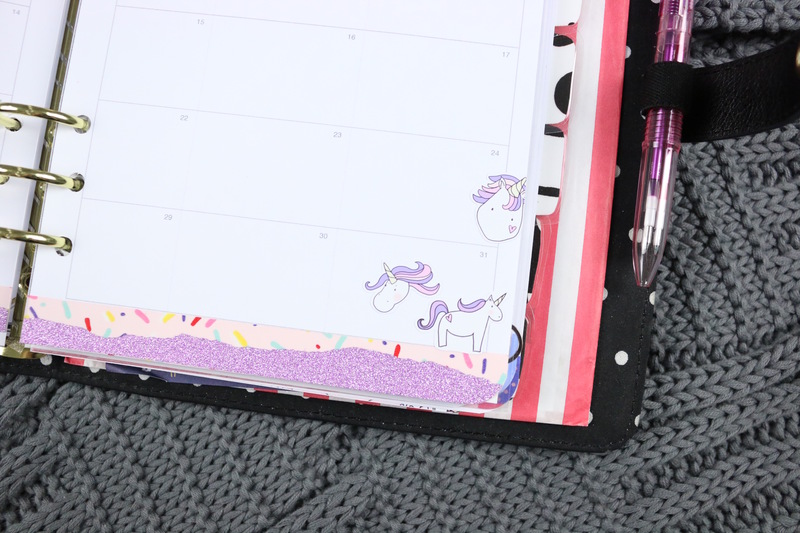 Sometimes, the really straight lines of washi tape just don't work for me - the whimsical nature of the unicorns in this sticker kit really felt like they need something less harsh, which resulted in me tearing my washi strips down the centre to create a less 'perfect' edge, which is an effect I really like. I have to confess, that I don't keep up-to-date on what's considered 'popular' in the planning world. 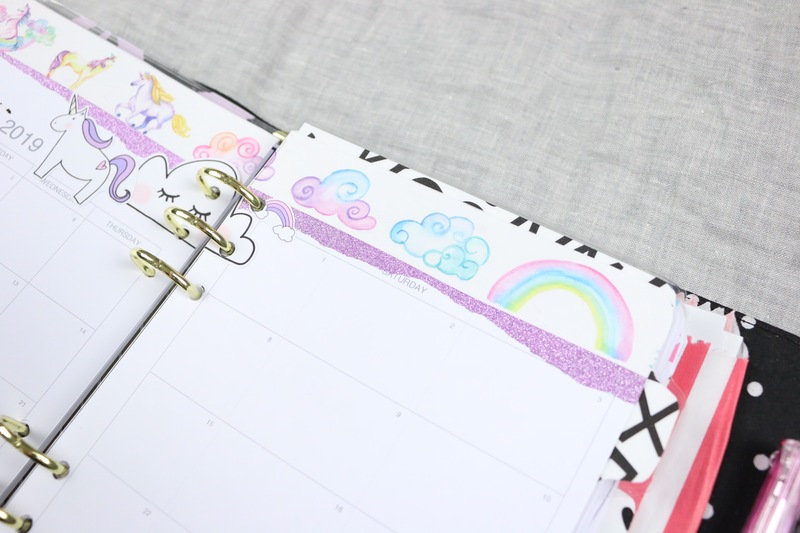 I like to plan how I like to plan - it works for me, and that's the point of having a planner: it has to work for you. I'm okay with something that's 'not perfect' because it's mine and let's be honest, it's realistic. I also like to use what I have even it's a few years old or different to what everyone else is using because it's different. Don't be afraid to embrace your own personal planning style. It's so important to do what's right for you! I hope that you're inspired to go out and use your supplies and create amazing layouts that are uniquely you! It's been a long time since 1, that I have created any watercolour art and 2, that I have done a post for Anna Brim, but yay, I can say that I am happy to be back doing both. 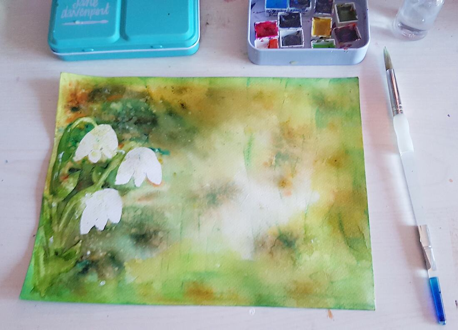 I was so inspired by Anna's watercolour snowdrops video tutorial over on her patreon page - http://www.patreon.com/mrsbrimbles, that I decided to add my own twist to it using brusho as well as watercolour and stamping ink. I still used drawing gum to create a resist for the snowdrops. You can see my full process in the video below. 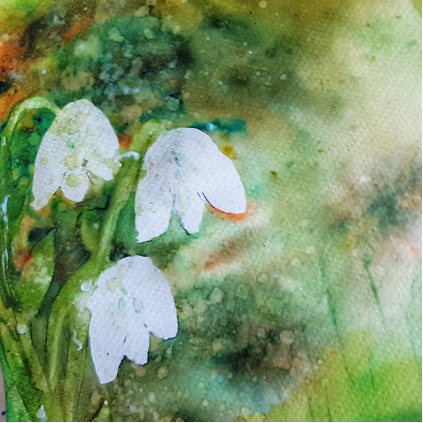 I started out by using drawing gum for the snowdrops them-self then added a mix of green and yellow watercolour using my Daniel Smith watercolours and my JD. Next I added a variety of different brusho drops and added lots of water for it to take effect. It was a little too vibrant, so out came the trusty kitchen roll to lift some of the colour off the page. I love watching brusho take shape, I could literally sit and watch it all day. 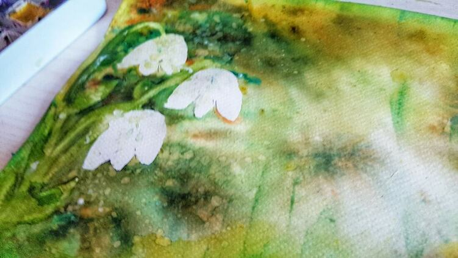 I then went to work on adding texture using blotted kitchen roll, and ink pad and going over with darker and lighter shading for the flowers and stems. This really added depth to the image. When it was dry it was time to peel off the drawing gum and add final touches to the shading. See you all on the blog and in the Mrs Brimbles Happy Place group soon. 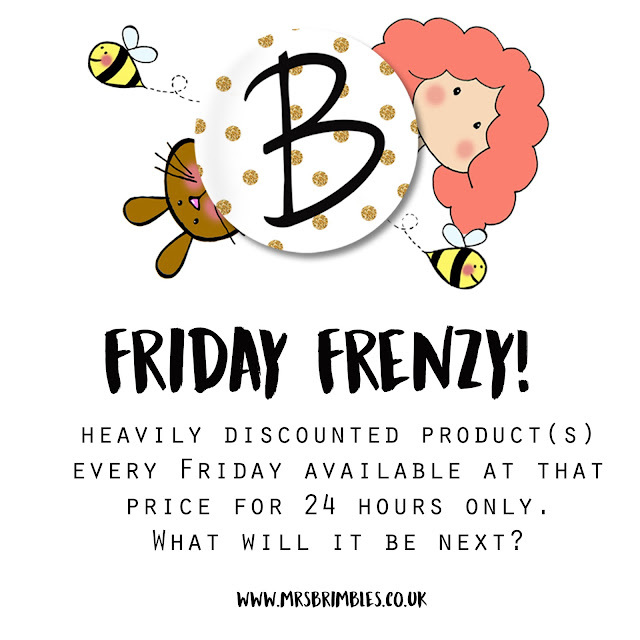 Let me introduce to you 'Friday Frenzy'! Every Friday I will be offering you product(s) at a heavily discounted price. Which products they are will change every week, kind of like an offer of the week as you will. These products will only be available to purchase at that reduced price for the one day only and will return to their previous price on the Saturday. Be sure to check in every week to my social media platforms to see what bargains are to be had. I am talking heavily discounted here so it will be worth it I can assure you! 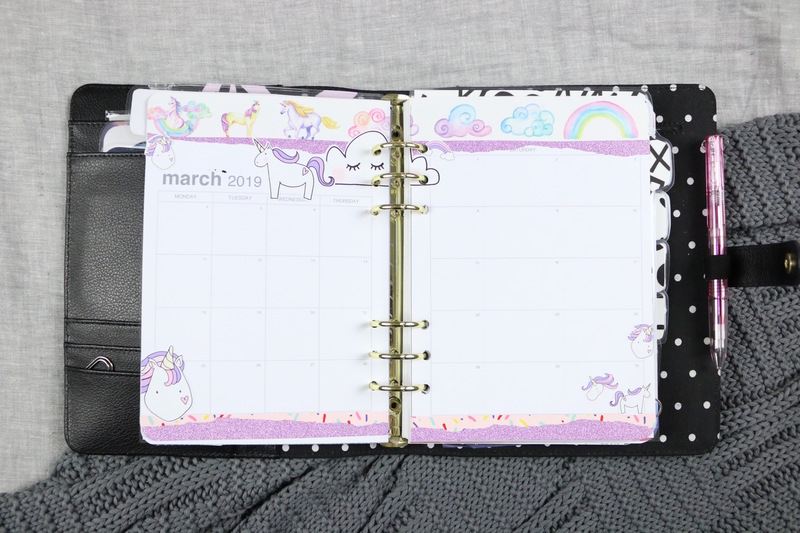 Here is my unboxing of the Brimbles Box for March 2019. 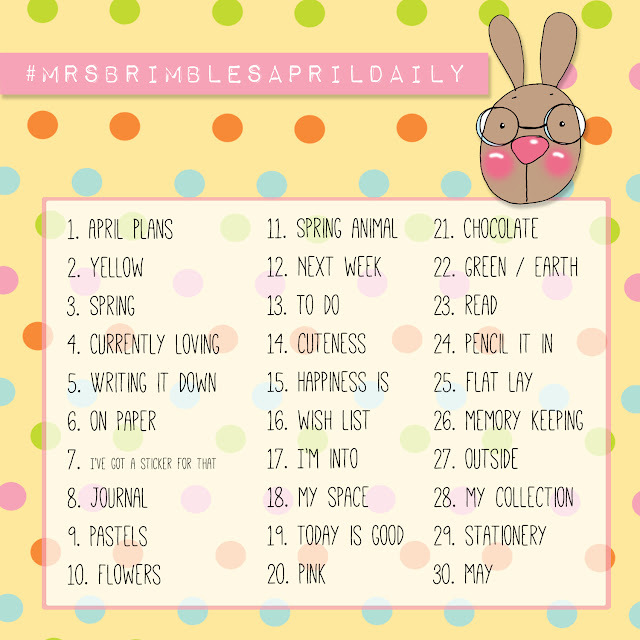 The Brimbles Box is my monthly planner / journal box. It is used and loved by creative planners as well as memory keepers and creative journallers. There is no minimum sign up period! Check the links above for the current prices. These products will also be available to purchase online as a complete box (while stocks last) or individual products on both Etsy and mrsbrimbles.co.uk from 1st March 2019. In this video I talk you through how I meal plan and what we eat in a week. We are vegans as much as possible. It isn't always possible but we try as hard as we can. We are a family of 3: 2 big one small (and 4 fluffies). We don't use a freezer and we try and cook fresh from scratch whenever we can as well as homeschool, run a business etc. I have collaborated with Lisa from the Lollipop Box Club on this so make sure you head on over to her channel to see how she meals plans too. Lisa is a busy work from home Mum of two teens. Like me she always meal plans to ensure that the family have a balanced diet as well as keeping cost and wateage low. Lisa cooks a mix of meat and vegetarian dishes for her family. Planning for Christmas...Yes in February! You may think that I am utterly bonnkers even mentioning planning for Christmas this early in the year but just hear me out! There are plenty of things that you can do to help spread the stress and most importantly the cost!